The 140,4 HP engine of the M135GX features Kubota’s Tier IIIB compliant technology. The 4 cylinder, 16-valve, turbocharged powerplant with intercooler is equipped with a catalytic converter and DPF, so no urea-based additives are required to meet the stringent environmental norms. Another highlight of this engine is its total displacement of 6,1 liter and high torque (566,5 Nm) already available at 1200 rpm. Engine power is transferred to front wheels via a bevel gear shaft in oil bath and installed in a dust-tight casing. This results in an extremely low turning radius: 3,8 m. without braking. 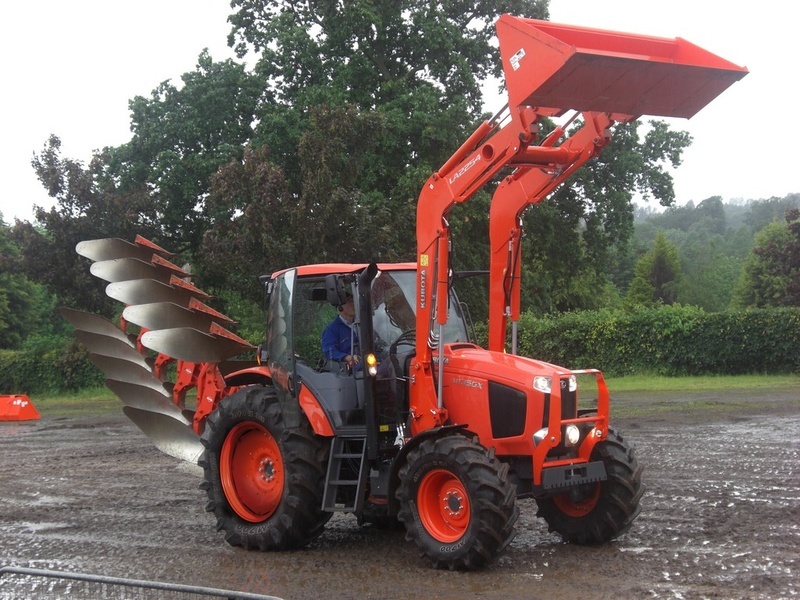 Kubota’s unique Bi-Speed Turn system results in a much tighter turning radius. No unprotected moving parts are applied, as the whole module is fitted in a dust-tight casing. When Bi-speed Turn is engaged and the turning angle exceeds 35 degrees, front wheels accelerate and begin rotating at almost double the speed of rear wheels. Owing to this the minimum turning radius equals 3,5 m.
Hydraulic pump output of 75,1 L/min (only for the rear hitch and hydraulic outlets) offers the lifting capacity of 5000 kg , 2 pairs of hydraulic outlets as standard and precise control of the rear hitch with the electronic EHR module. The Intelli-Shift transmission offers 24 forward and 24 reverse gears, selected with buttons on the gearshift lever, without engaging the clutch. The transmission on M135GX also features the AUTO mode to automatically engage selected speeds. Maximum speed of the tractor is 39,9 km/h. The cab on M135GX is an all-new design. 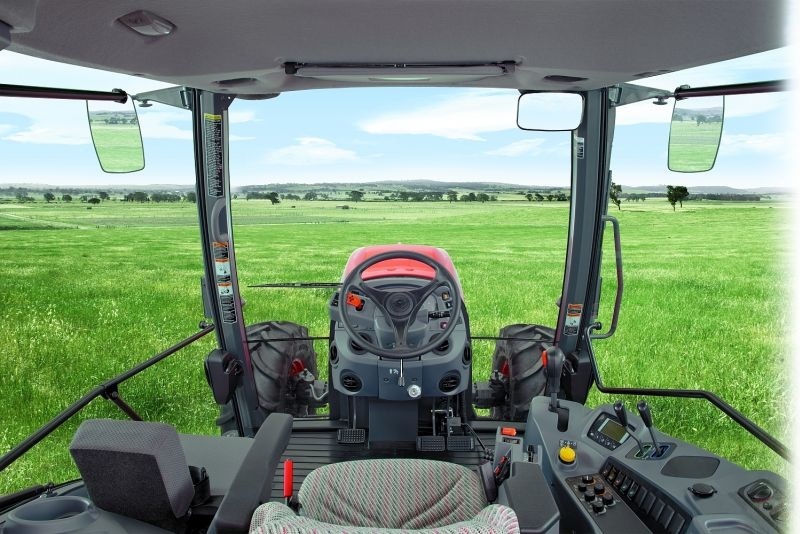 Great visibility in all directions, including upward view on the front loader plus standard air conditioning with air outlets in the dashboard cater for easy and pleasant operation of the machine. This is enhanced by the presence of electronic operator’s support system, such as the Wok Cruise. 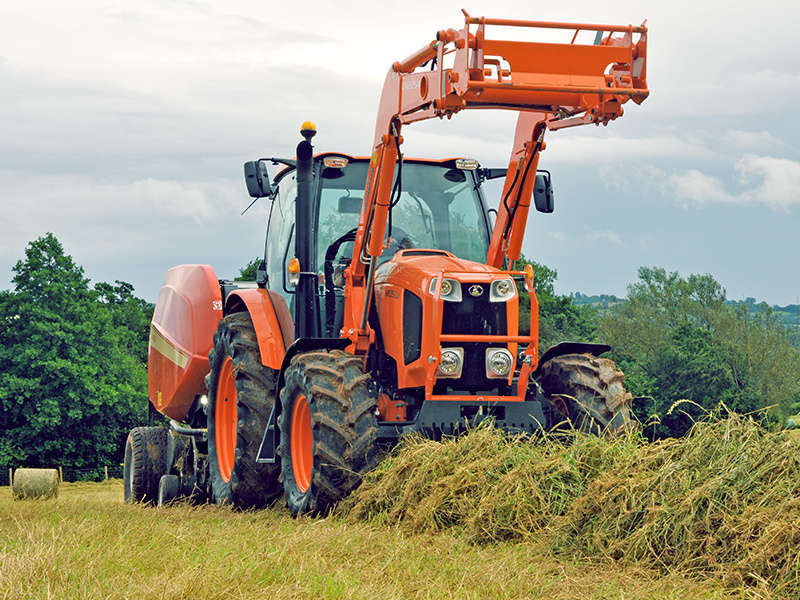 This system automatically adjust engine rpm in relation to the work load that the tractor has to deal with. Standard cab features encompass a pneumatic seat with swivel function, as well as a multi-functional armrest that controls the rear hitch and transmission. Passenger seat is available as an option. As a factory option on the M135GX, Kubota offers front axle suspension, the performance of which may be adjusted by the operator.